The baby is in fact a small hair salon in a basement, a few kilometers outside Valetta, the capital of Malta. Amanda opened her shop three years ago and since then has worked there with her faithful employee Martin. They need to be on top of their game every day to keep the customers coming, because there’s a lot of competition. 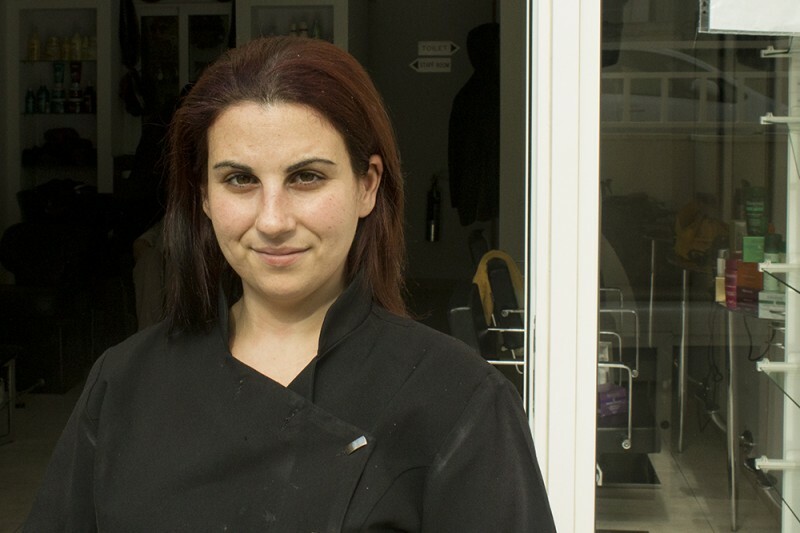 What’s the biggest challenge for a hairdresser on Malta? Amanda tells me that this is the first interview she has ever done. She looks a bit nervous and sometimes glances up at the Christmas decorations she was putting up (with ornaments by L’Oreal). In the middle of the conversation she mentions to me that she is not originally from Malta. And Amanda is almost the only immigrant on the island. Do you have a lot of Arabic or African influences here? More than European? When Malta became a member of the EU, did that make a difference for you? Did you vote in the European elections last May?